Formation of community monitoring groups/support groups (27 member)- 9 nos. Project Inception Meeting (District and Union level -10 nos. Project inception workshop (district level with DC, UNO, DDLG, UP representatives and Standing committee)-1 no. Training/orientation for community monitoring groups/support groups on LGSP and SA tools (2 days)- 9 nos. Refreshers Training/orientation for community monitoring groups/support groups on LGSP and SA tools (2 days) -9nos. 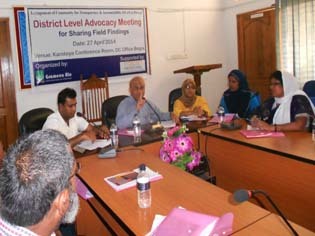 By monthly meeting with community monitoring groups/support groups – 15 nos. FGDs with community – 36 nos. FGDs with service providers- 18 nos. Development Community action plan and display -18 nos. Conduct Social Audit -18 nos. Meeting with local level government officials. Meeting with Union parishad – 81 nos. 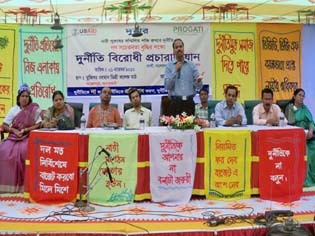 Facilitate Union Parishad to organize planning meeting- 18 nos. Facilitate Union Parishad to organize wardshava- 162 nos. Facilitate UPs to conduct open budget session at UP level- 18 nos. Training/orientation UPs (WC &SSC) to exercises of Social Accountability tools – 9 nos. Training/orientation UPs (WC &SSC) on RTI- 9 nos. Regional level roundtable meeting on Social Accountability -3 nos. Installed suggestion boxes in the Union Parishad 9 nos. 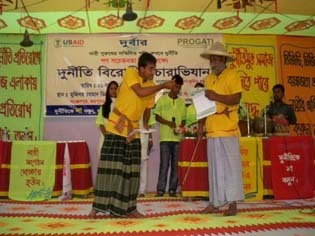 Capacity Building of Local Citizens for their Engagement in Monitoring Advocacy works. Action plan Develop and Display in Bill Board. Strengthening SMC, PTA and Union Standing Committee. Citizen Charter Development and hanging it open place. Management Committee Strengthening through Advocacy and Meetings with service recipients and service providers of Health, Education, Agriculture sector and Union Parishad. Needs based technical support to Union Councils. 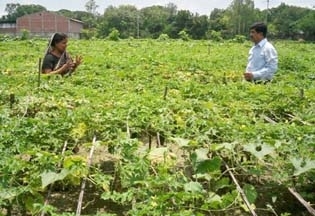 Adaptation and Accessibility, Provision of Assertive Devices, Formation of SHGs etc. Savings Collection & linkage with micro finance department. 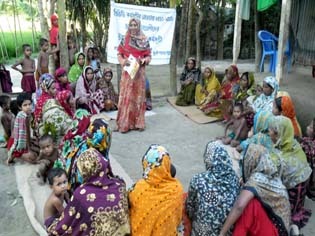 Awareness on Maternity, Re-productive Health, Hygienic & Sanitation of 1200 women. Sanitation Support for girls at school level. Training on Entrepreneurship Development and Marketing. Area: Bogra, Joypurhat, Lalmonirhat, Rajshahi and Dinajpur District. 10 different Year 5 civil society activities and interview representatives of at least 50 CSOs to Develop Action Plan. Area: Bogra, Sirajgang,Joypurhat and Lalmonirhat District. General Anti-Corruption Campaign- 12 nos. Budget Oversight Awareness Dialogues- 10 nos. Lesson Learning Workshop- 1 no. Area: Bogra, Sirajgang, Pabna, Rangpur, Nilphamari, Joypurhat, Lalmonirhat and Panchgarh District. General Anti-Corruption Campaign- 20 nos. Budget Oversight Awareness Dialogues- 20 nos. Area: Bogra Sadar Upazilla, Bogra. 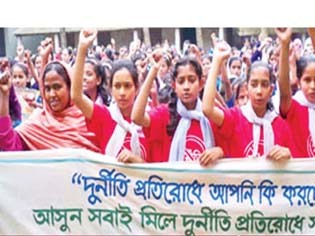 Issue based Awareness program for Adolescent girls. 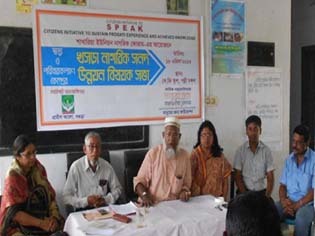 School based Campaign for using Information Technology. Workshop on Union Information Service. 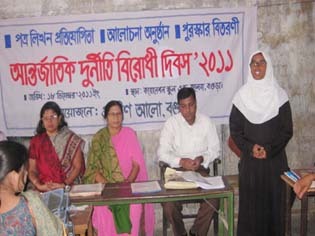 Provide IGA Skill Training of 750 women.